ByronNow – What’s happening in Byron Bay NSW Australia – Music, inspirations, activism. A New Science of Everything – Huge collection of information plus promotion of our talks. Rewriting Prehistory – promo site for our book ‘Rewriting Prehistory with the Javanese Pyramid of Gunung Padang’. Narada Design – promo for my websites and sacred geometry inspired artworks, and more. Foster Gamble – Thrivemovement, based on the great ‘Thrive‘ documentary that begins with Sacred Geometry. Euclid the Game – a great way to learn the traditional geometric technique of solving problems using only a compass and straight edge. 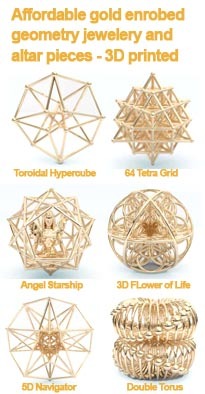 Stella geometry software – used for many of the geometrical illustrations in Understanding Sacred Geometry.